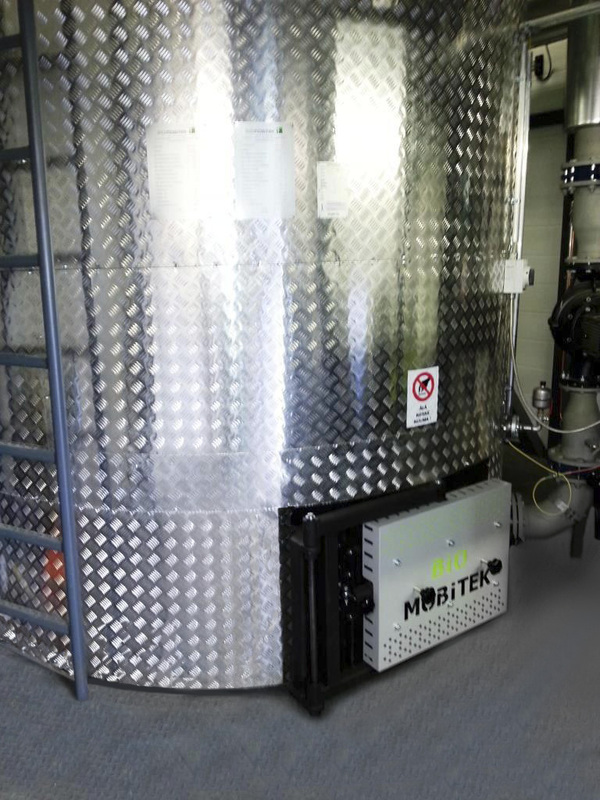 Vertical heat exchanger OG series by Bio Mobitek is meant for operation together with burner and is meant for heating water for heating systems or technological processes. 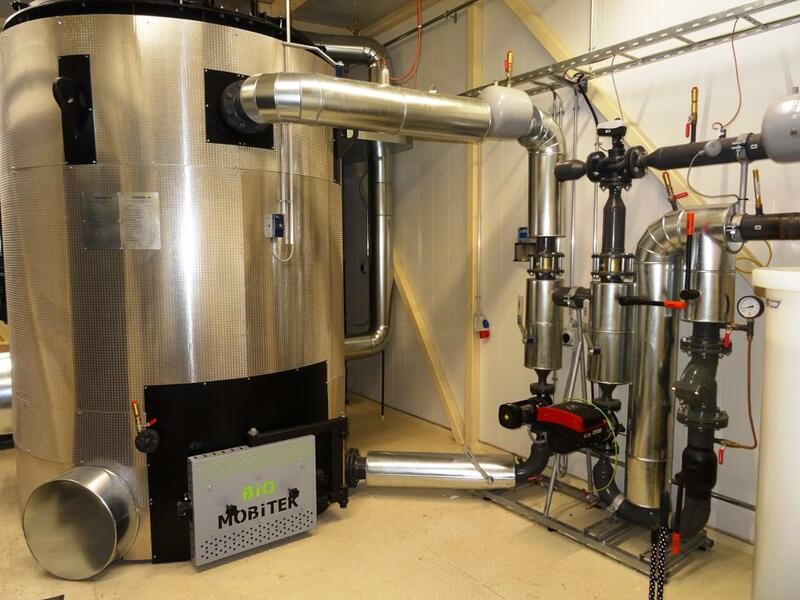 Heat exchanger operates in systems with forced circulation.Vertical heat exchanger operates together with burner by BioMobitek. 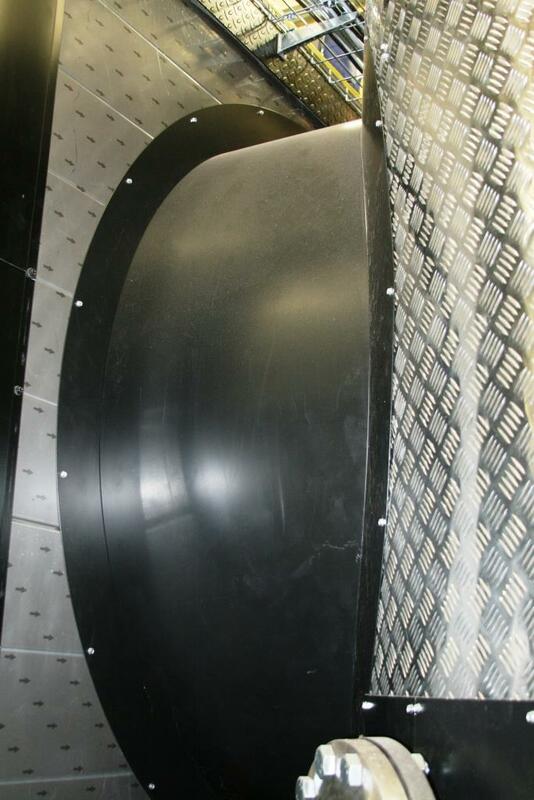 Heat exchanger consists of two parts: upper part, which operates at high pressure, and lower part (reversing chamber), which operates at low pressure. Heat exchanger consists of body, fire tube, and group of fire tubes, between which there is a heat-transfer agent (water). Upper and lower parts of the vertical heat exchanger are separate water circuits and have their own entrances and exits of water. 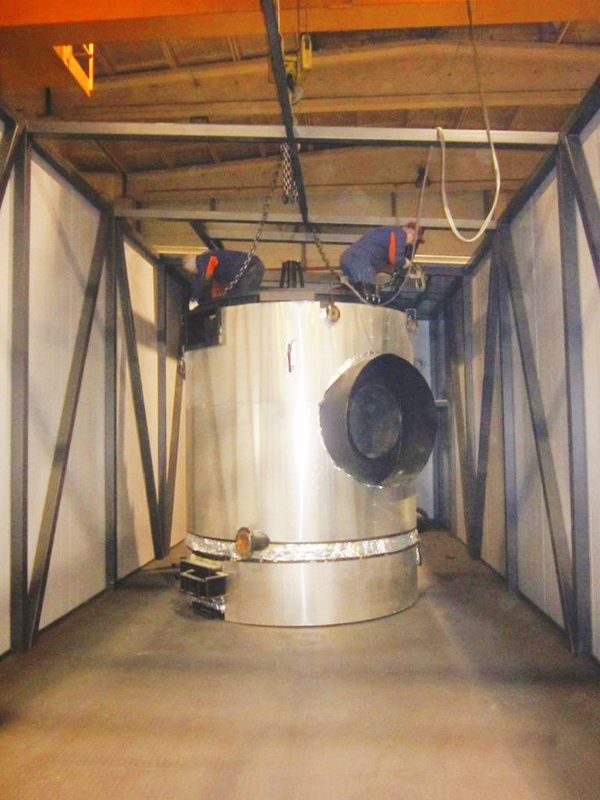 Hatch is meant for cleaning the reversing chamber and terminal enclosure chamber. 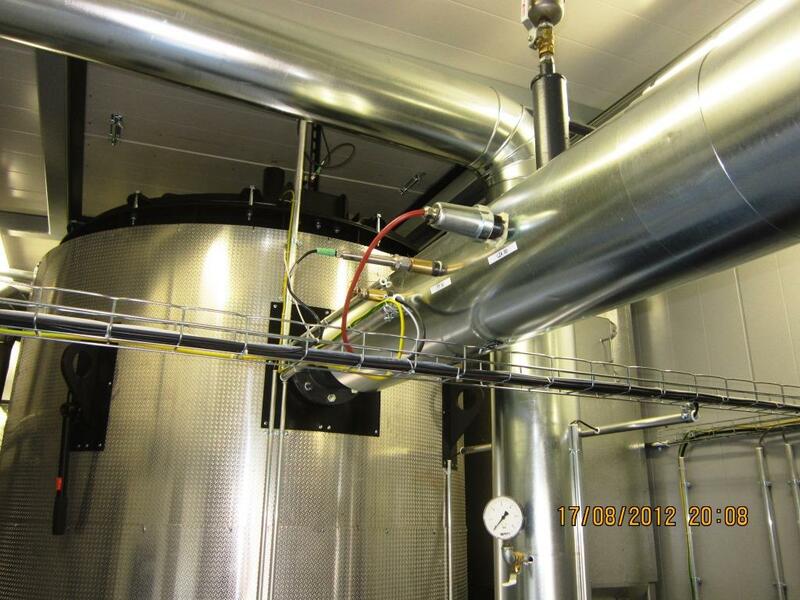 All automation elements and necessary indicator are located at the heat exchanger header. 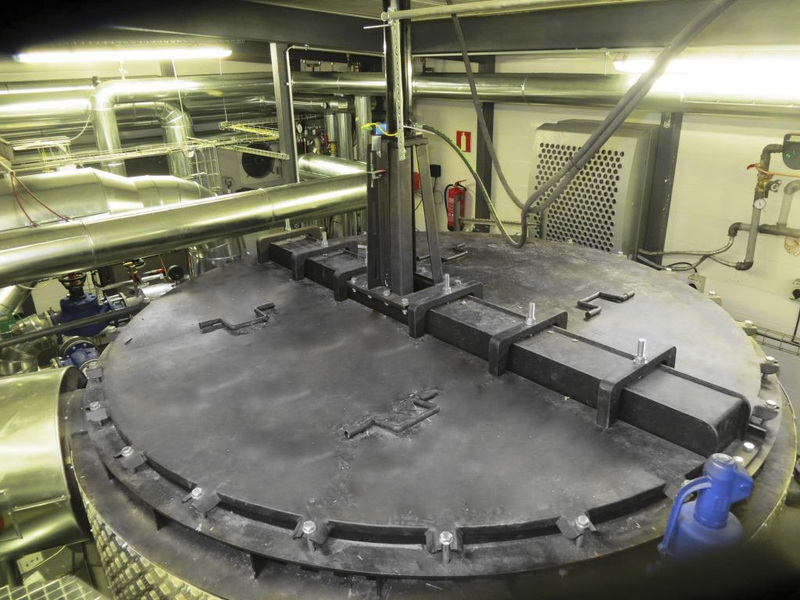 Number of indicators and automation elements is determined by technical project, which is developed for each boiler room individually.Exterior surfaces of the body are isolated with PAROC rock wool, width 100 mm, and covered with profiled aluminium sheet. 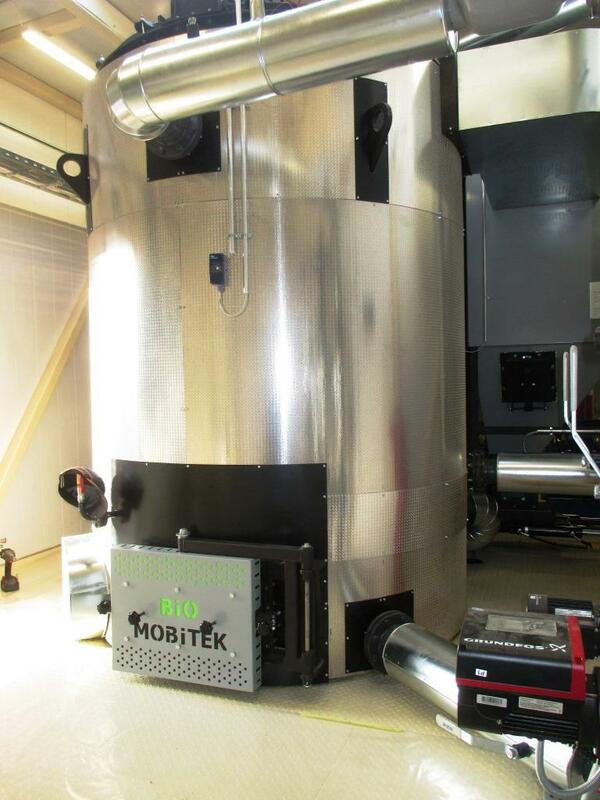 Vertical heat exchangers by Bio Mobitek are produced in accordance with standard EN 12953 and directive EN 97/23 PED, which is confirmed by the declaration of conformity and CE marking.